Ride-hailing company Kater is launching its beta phase service in Vancouver on March 30th. 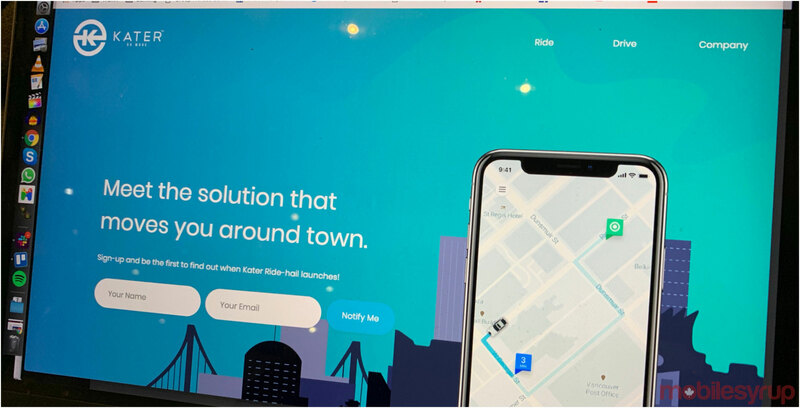 The company said in a recent press release that its app aims to connect users with rides-on-demand and that those living in Vancouver are invited to register to become early-adopters. “During the beta phase, Kater will start with a small sample of cars and users, increasing both simultaneously over the coming weeks,” the company said. Kater’s CEO Scott Larson said that the company is a good solution for those living in Vancouver and is looking forward to penetrating a market that has yet to take advantage of ride-hailing services. Ride-hailing services currently don’t exist in the province. In fact, it’s one of the largest major cities in Canada that has yet to regulate the service. B.C. transportation minister Claire Trevena announced legislation that would allow companies like Uber, Lyft and Kater to operate in the province by sometime at the end of this year. The B.C. NDP government has been criticized for delaying this legislation since it was first announced as part of Premier John Horgan’s 2017 election campaign. This launch means that the company has been able to secure enough drivers to launch its beta phase. Just a couple of weeks ago, Kater said that it was having a difficult time securing drivers because there was a shortage of Class 4 licence holders; the licence required by taxi drivers in the province. Kater was offering a sign-up bonus of $1,700 in an effort to secure new drivers. Kater has already been operating for three years in Surrey, B.C. as an app that connected users with personal drivers.